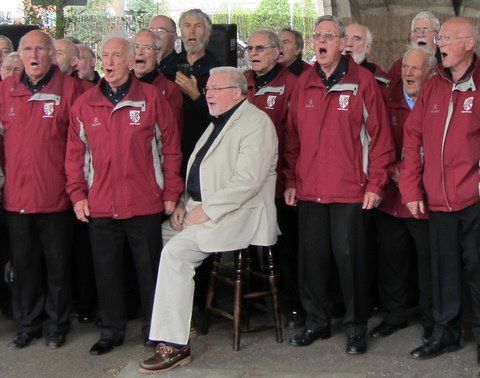 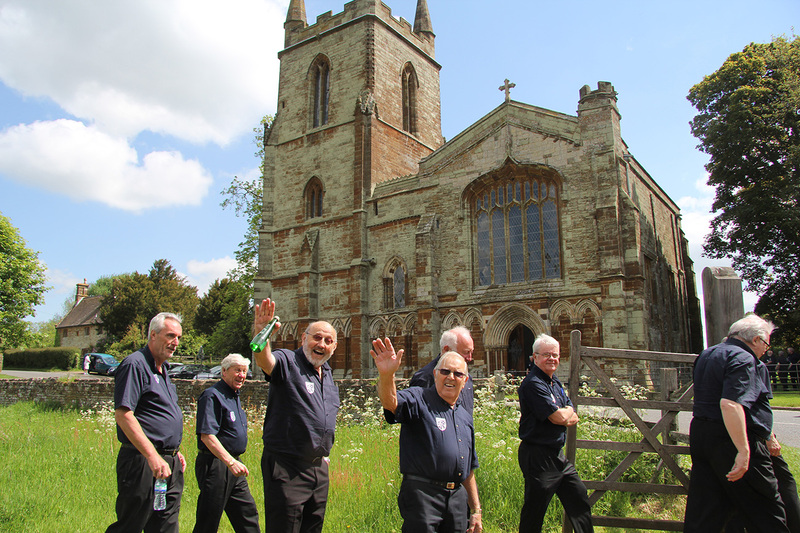 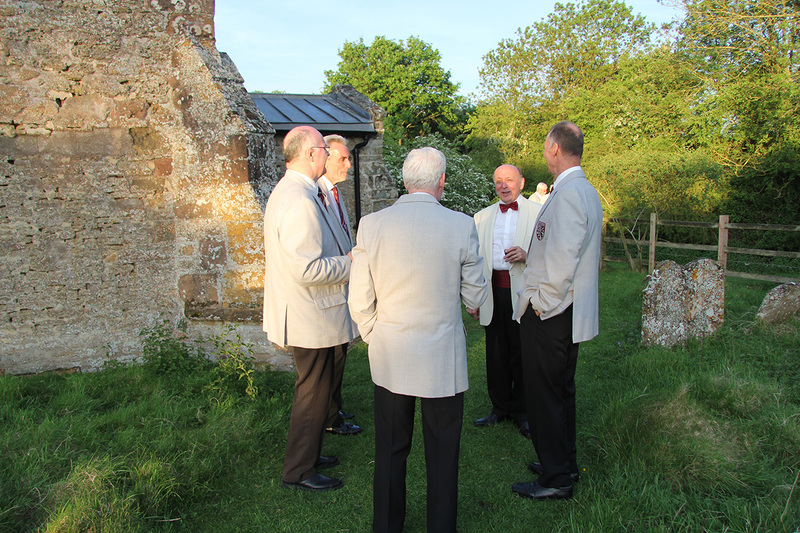 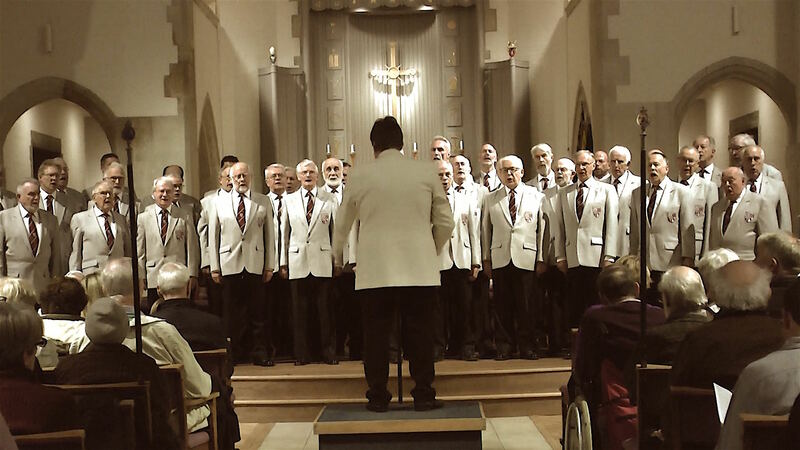 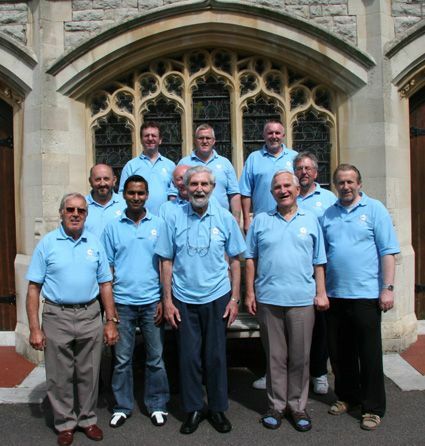 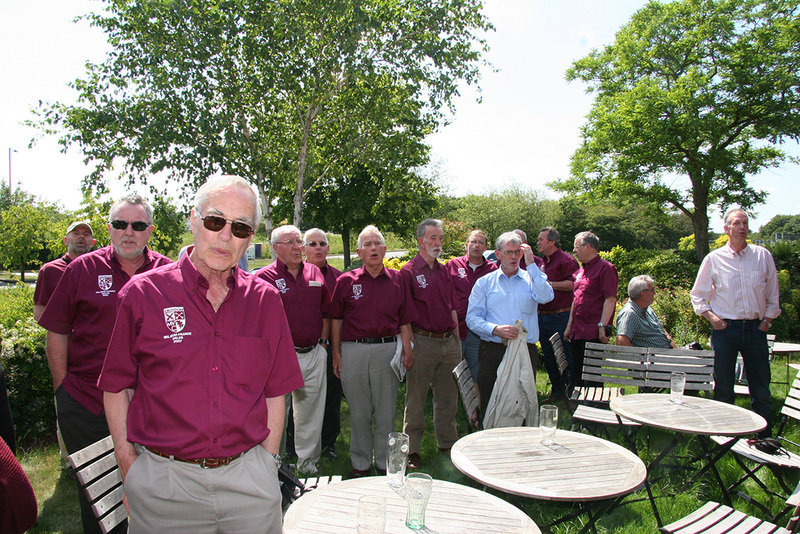 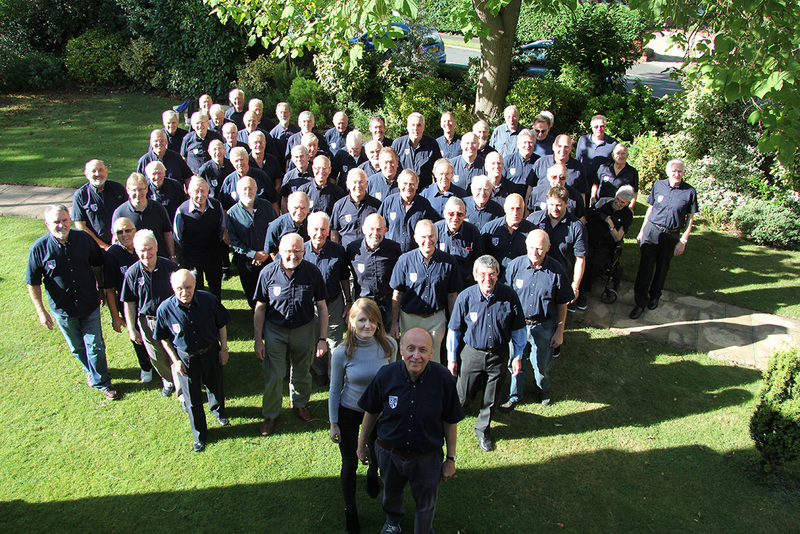 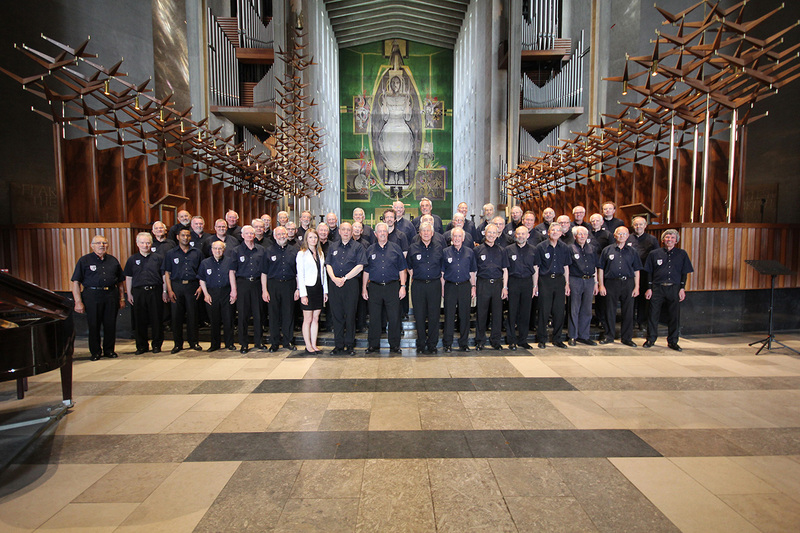 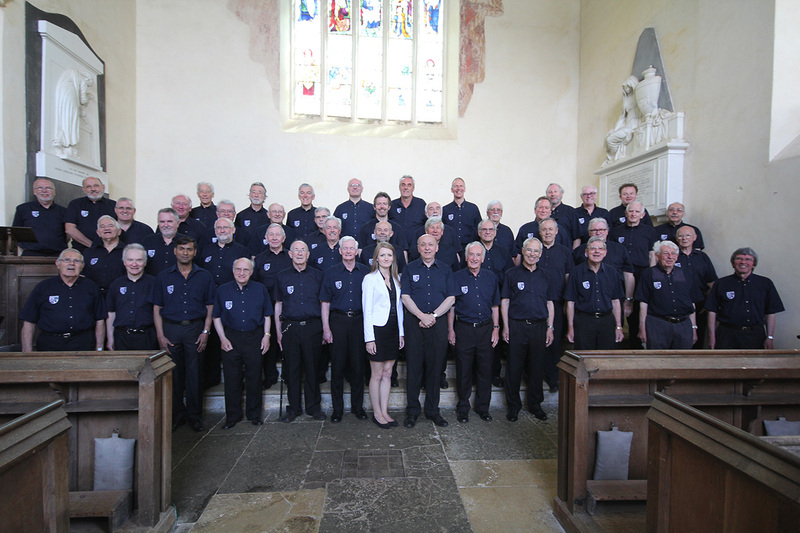 The seven choir members – six pictured above, together with Roger (back row, centre) – were part of a 50-strong choir that Roger had assembled from a range of choirs, friends and friends of friends. 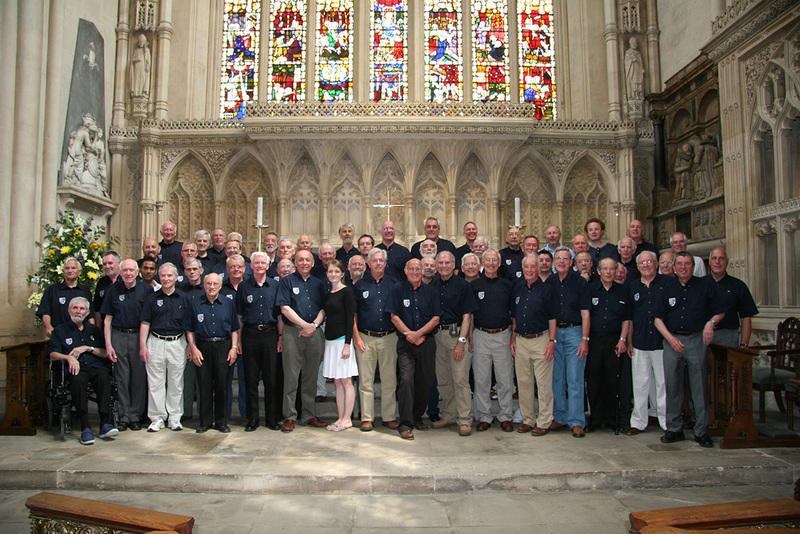 The choir had just two rehearsals, one of them on the afternoon of the concert. 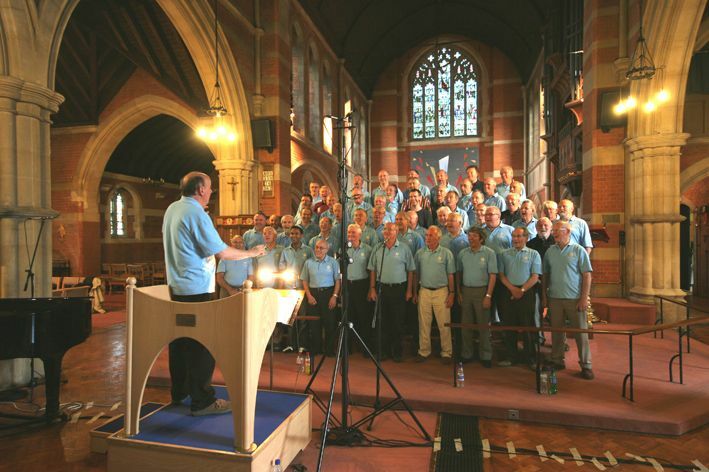 MARCH 17: The Croydon choir staged an exuberant concert at St Mildred’s church, Addiscombe on Saturday March 16. 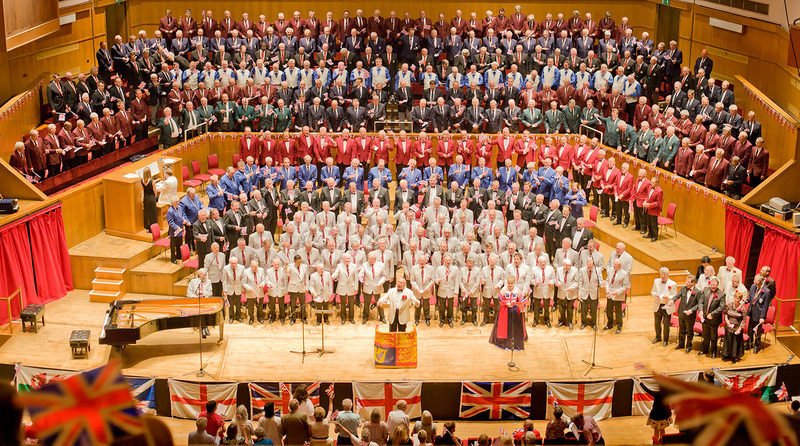 An enthusiastic audience, some on their feet, gave prolonged applause when the concert closed with Dona Nobis Pacem, sung as a round with the choir’s guest singers, the Tour Choir from Wetherby Preparatory School, London. 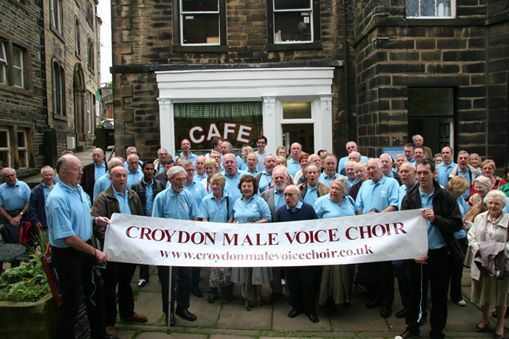 FEBRUARY 26: The choir presented a cheque for £1100 to the Croydon Crisis charity for the homeless at its Sandilands rehearsal last week. 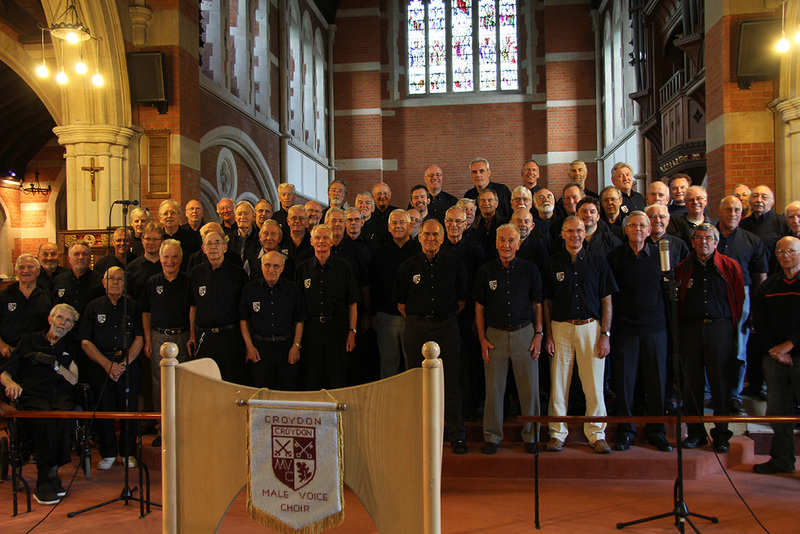 CMVC raised the funds for the charity while singing at the Whitgift centre during the Christmas period. 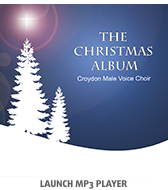 DECEMBER 12: The Croydon choir staged a spirited performance at the Whitgift centre on Sunday, winning applause and collecting for charity from pre-Christmas shoppers. 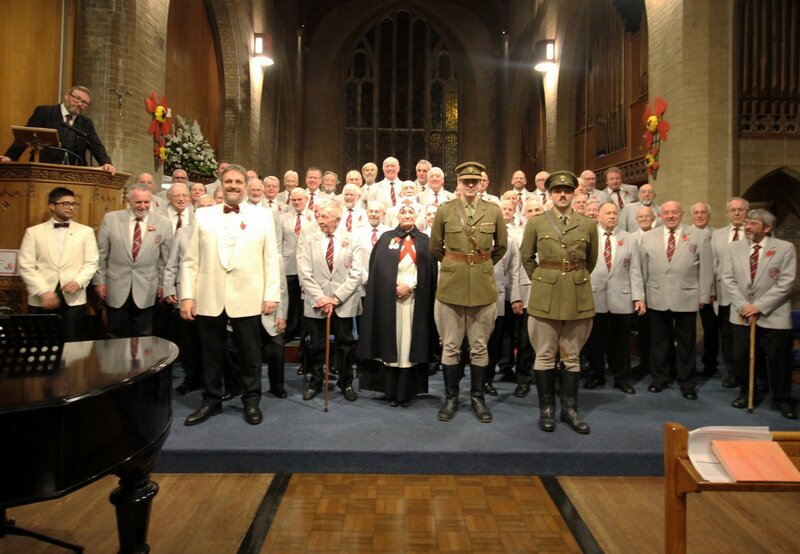 NOVEMBER 16: The Croydon choir staged a powerful and affecting concert commemorating the centenary of the First World War Armistice in West Wickham on Saturday. 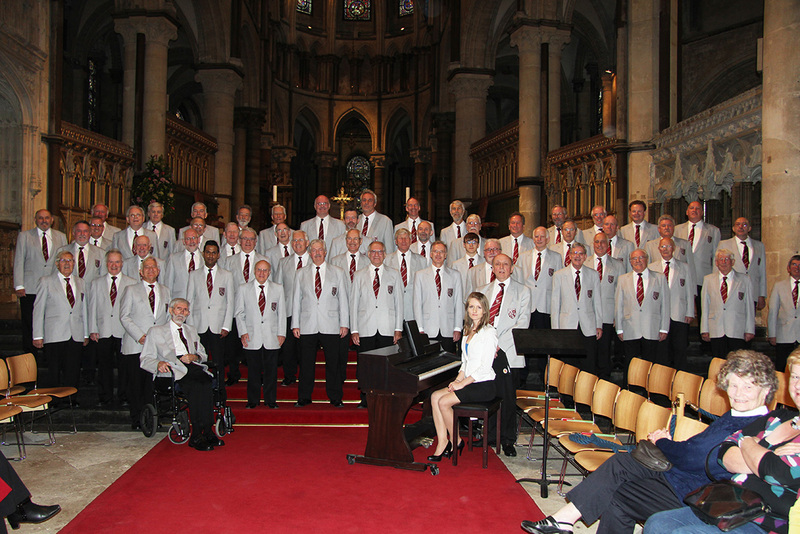 It received a standing ovation and was widely praised for the strength of its singing and the emotions it aroused. 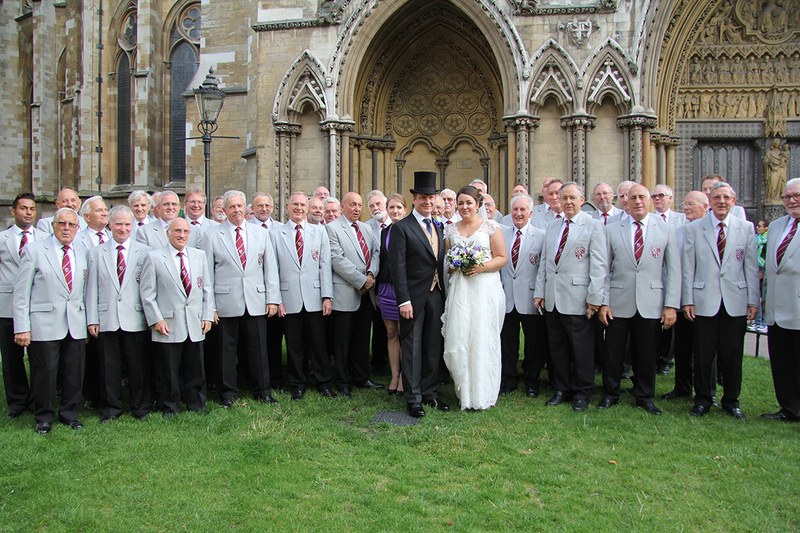 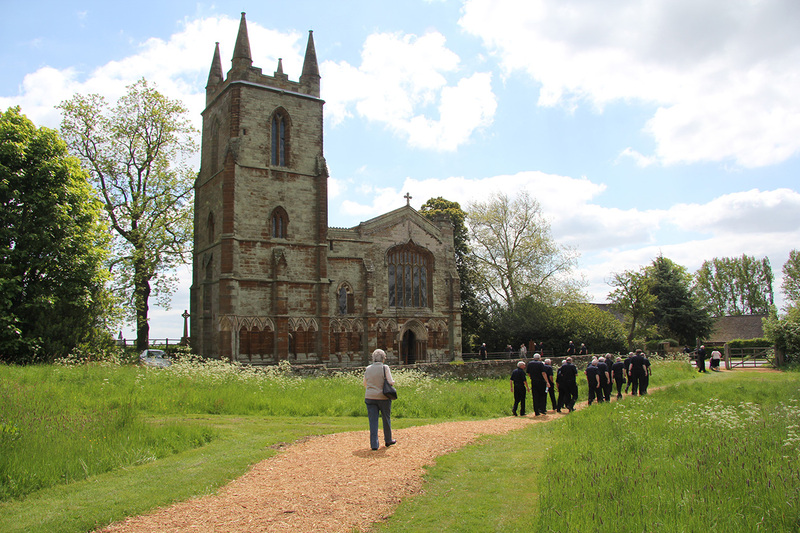 OCTOBER 25: The Croydon choir had an exhilarating sing at Rochester Cathedral on Saturday, October 20. 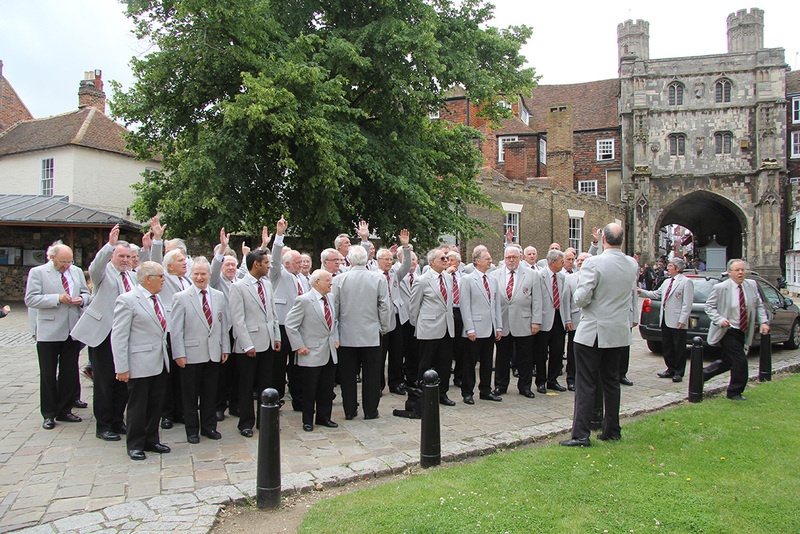 It staged an hour-long performance, divided into three sets, that delighted a strong and appreciative audience, composed of cathedral visitors and the choir’s ever-loyal followers. 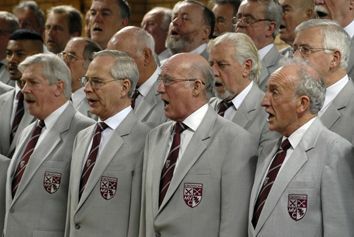 The choir’s twelve numbers comprised a mix of religious and secular, from Gwahhoddiad and Morte Criste to Bring Him Home and the haunting Seal Lullaby.